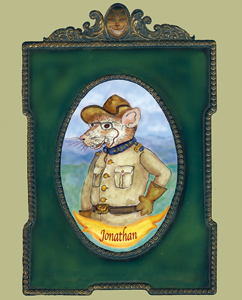 Jonathan Roosevelt was a piebald rat that was one of President Theodore Roosevelt’s many exotic pets. He lived in the White House in the early 1900s and liked to play with the president’s children. Piebald is a generic expression used to describe an animal that has patches of black and white or other colors.